The line of recycled Quarter Sawn White Oak from Staybull® is flooring in the third dimension. This wide-plank eco-flooring creates rooms that come alive. You'll be eager to tell people how the innovative Staybull Flooring® manufacturing process adds years to the lifespan of your floor. As you can see, the finished green floor also makes today's modern and contemporary spaces is both eye-catching, and complimentary. 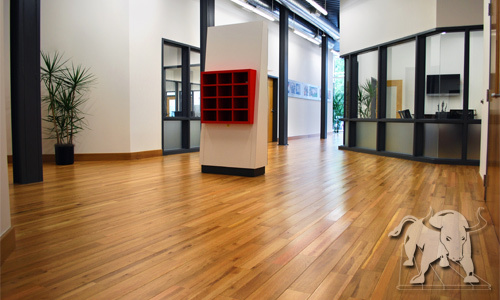 Enhance your space with eco-friendly Quartersawn White Oak hardwood from Staybull Flooring®? Order a free sample today. Color varies from light tan to pale yellow-brown with a pinkish tinge. Straight grained with characteristic silver grain in quarter sawn wood. Medium to coarse texture. White Oak offers a very distinct figure.